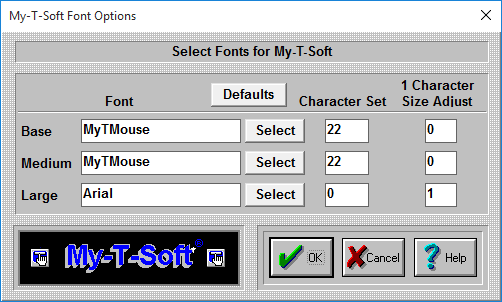 The Font capabilities of My-T-Soft are limited for a variety of reasons. These limited options have only been included as a specific solution for a small subset of customers. Use My-T-Soft Build-A-Board for more complete control over the appearance.